First a confession. I’m being very informal in this post. I hope that is OK with you. Having just had my second Czech lesson I’m feeling very proud of the fact that I know the informal form of ‘How are you?’ In case you’re interested, my answer would be ‘dobře’ or ‘well.’ Sadly that is about the extent of my current Czech knowledge. My current homework is learning to roll my rs. In Czech, you actually need to ask if you can be informal in a conversation, so I’m being very rude assuming it here. Soz. 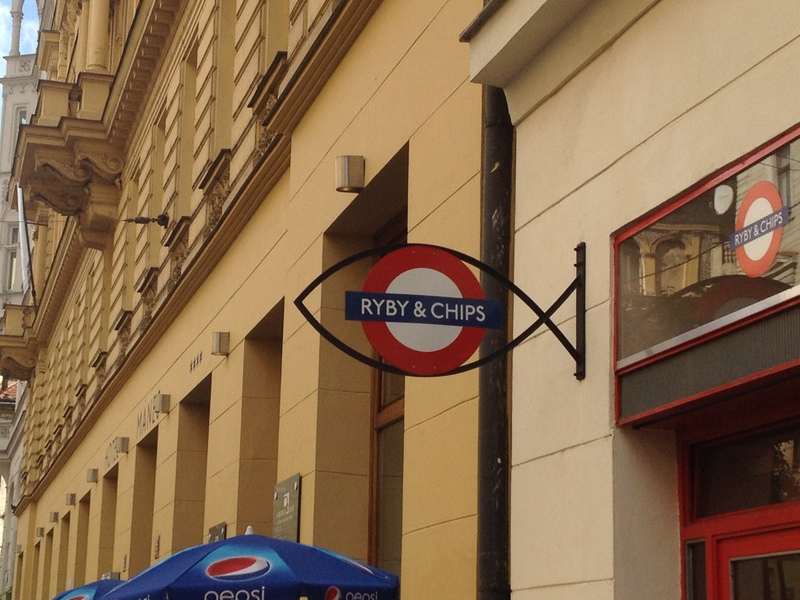 Apart from a limited but growing knowledge of Czech, recent life in Prague has actually seemed to make me more English. I guess when you’re dropped into another culture, and especially a North American dominated ex-pat culture, it just inevitably comes up regularly, that I am, well, very English. I probably didn’t help matters by buying a Union Jack bow tie. It’s all part of a rather fun cultural exchange. I’ve learned what ‘biscuits’ are to Americans and introduced them in turn to the delights of milk in tea and lemon and sugar on pancakes. In short, it is a privilege to be part of a truly multi-cultural community and I look forward to learning lots more. At the same time, my poor class are occasionally confused by my dogged refusal to use American spellings. Oh well. 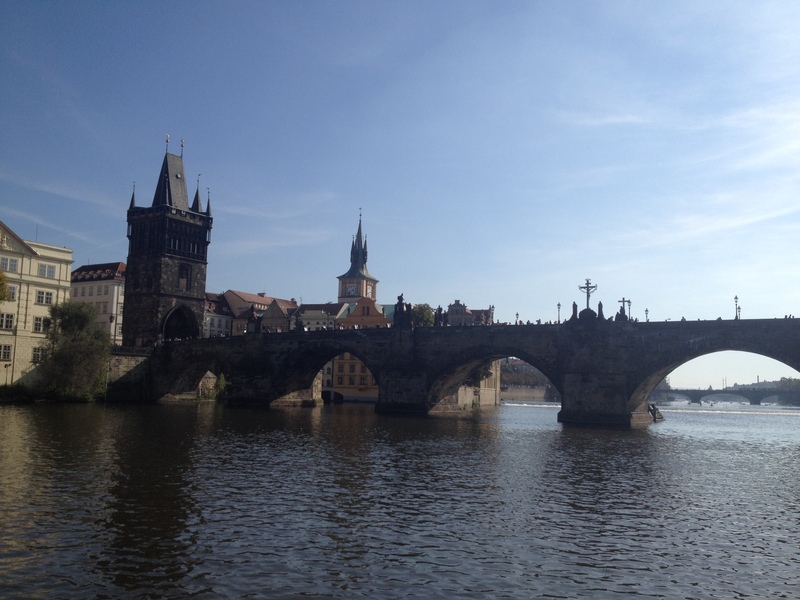 Charles Bridge from the Vlatava River. 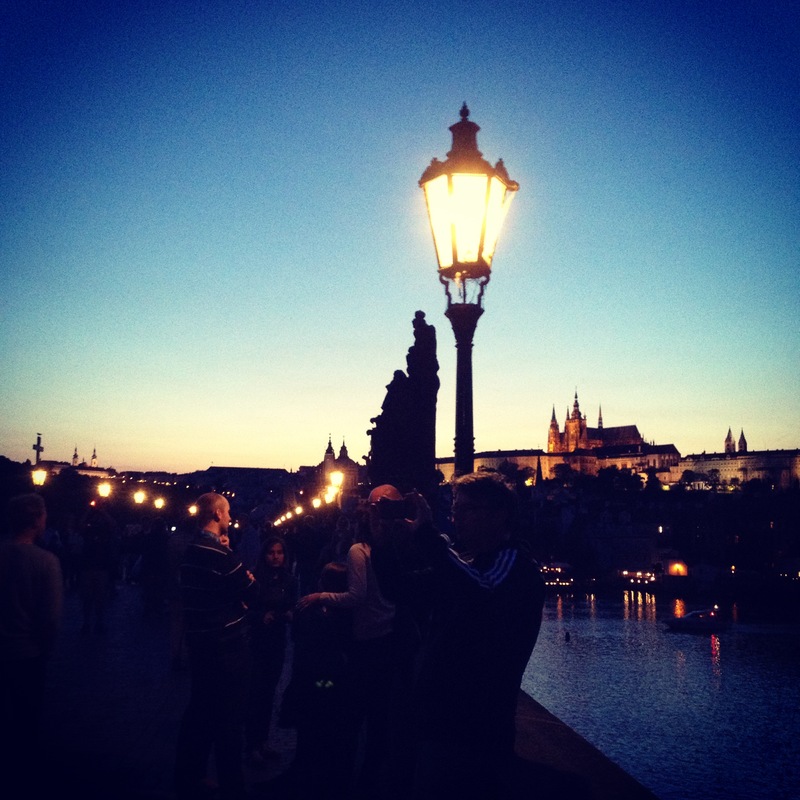 Charles Bridge at night, with a little help from Instagram. 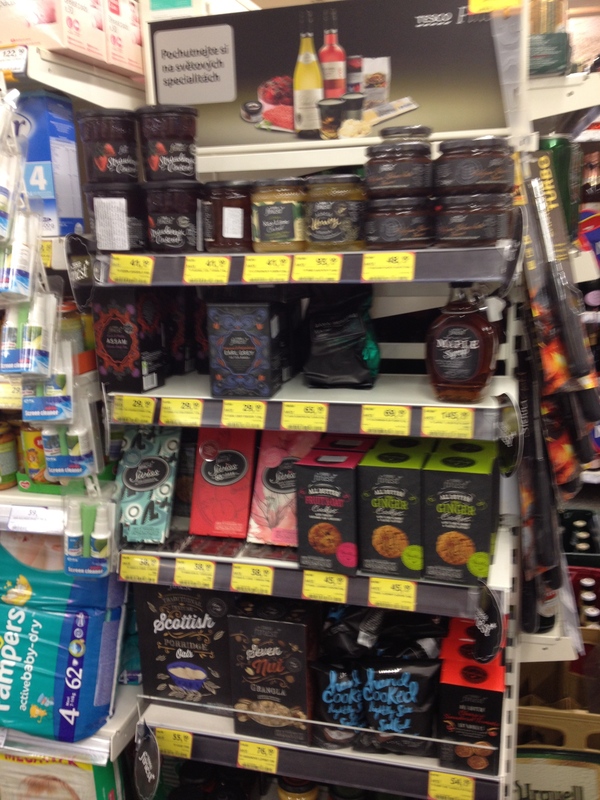 The very exciting British section of my local Tesco. Yes, there’s even a chippy. 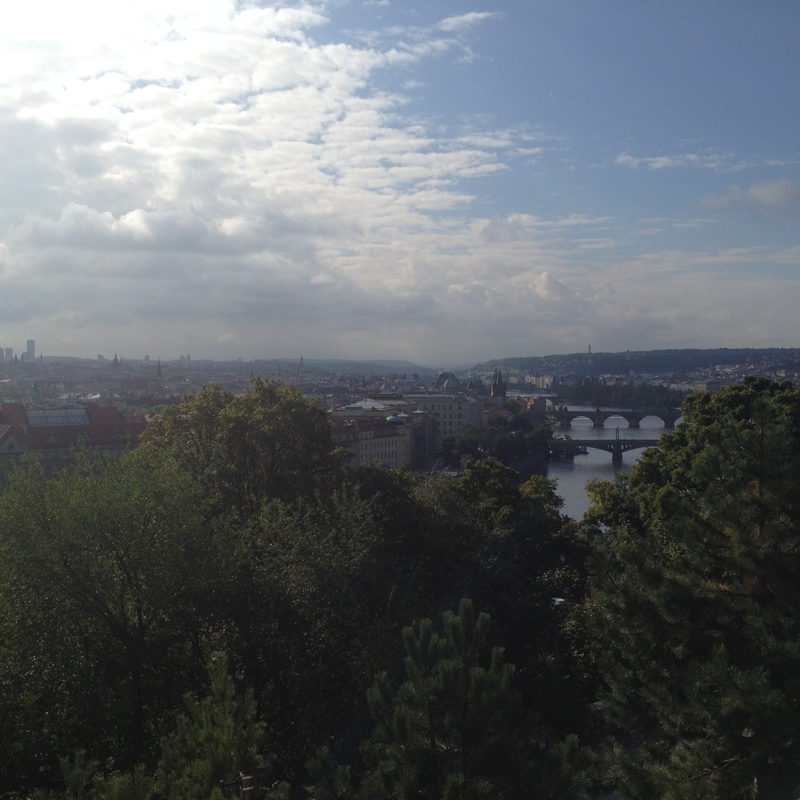 Prague viewed from Letna Park.